How awesome is that bow?! 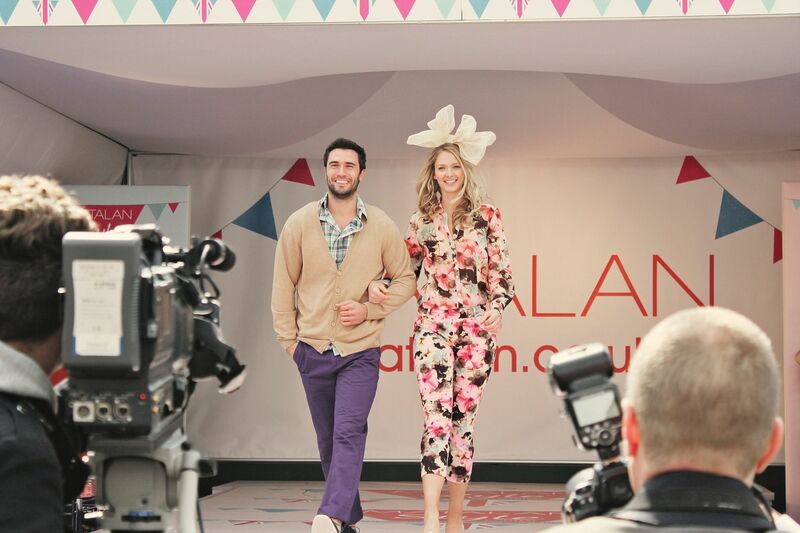 As well as the fashion show, Matalan also sponsored the Style Contest- a search for the most stylish person at Aintree. Sian and I entered, but we stupidly didn't think and went up together so we don't have any pictures of us strutting our stuff on the catwalk! 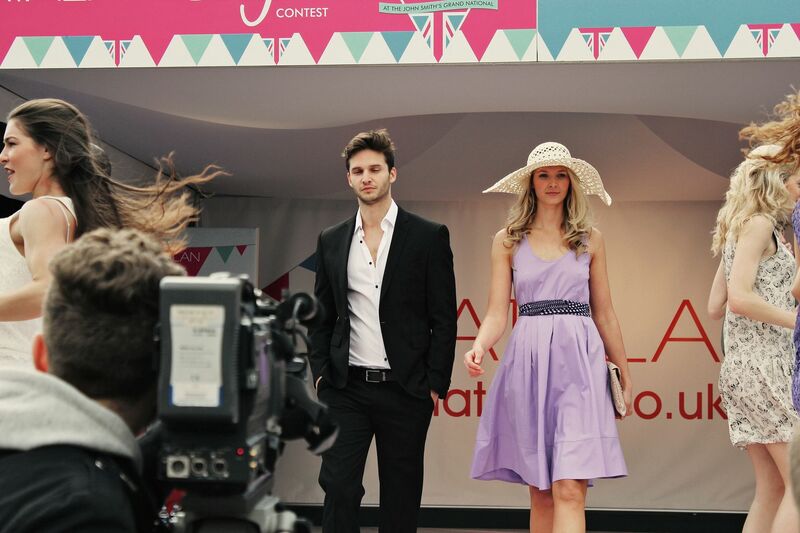 I didn't manage to get a lot of good pictures of the contestants, but how stylish is the lady below? I loved her outfit! 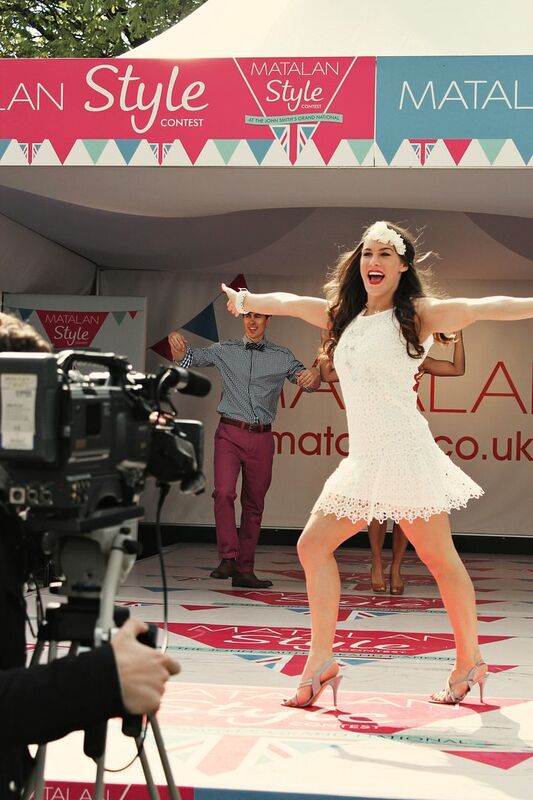 And this was Kelly- the gorgeous winner of the contest! 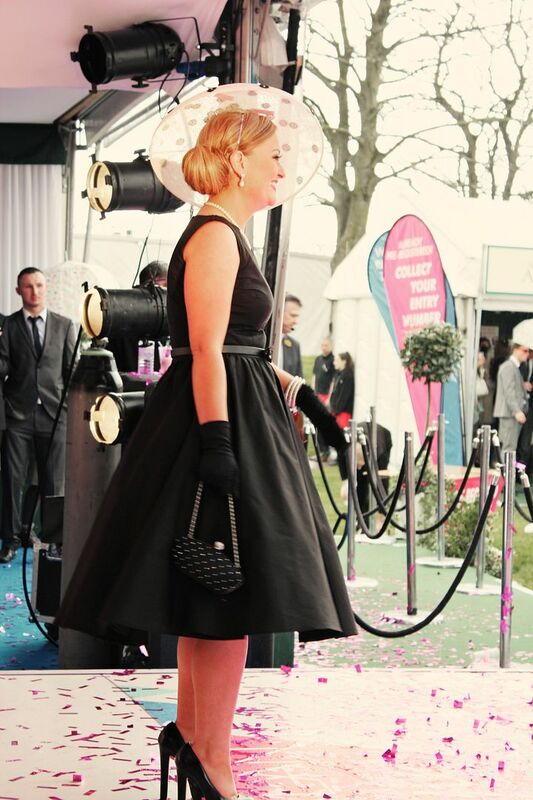 Her dress was so classy and her accessorises were just perfect, everything to her tiny clutch to her hat to her black gloves. 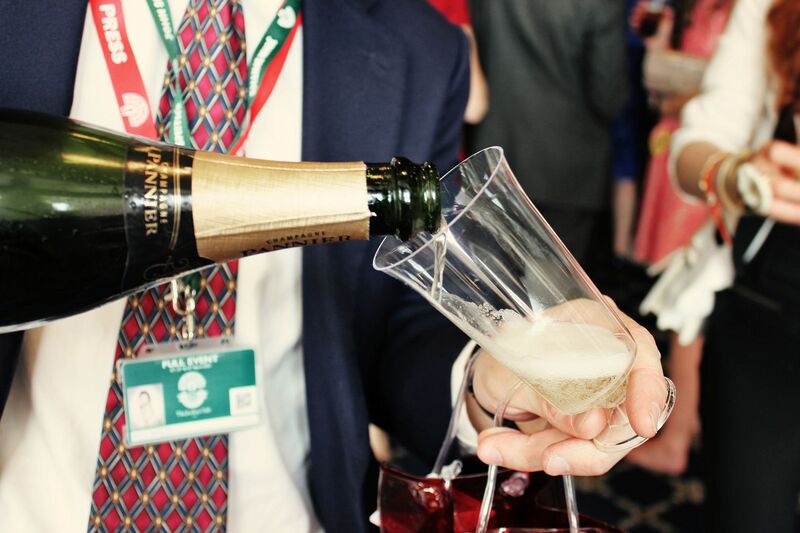 #Second bottle of champagne of the day! 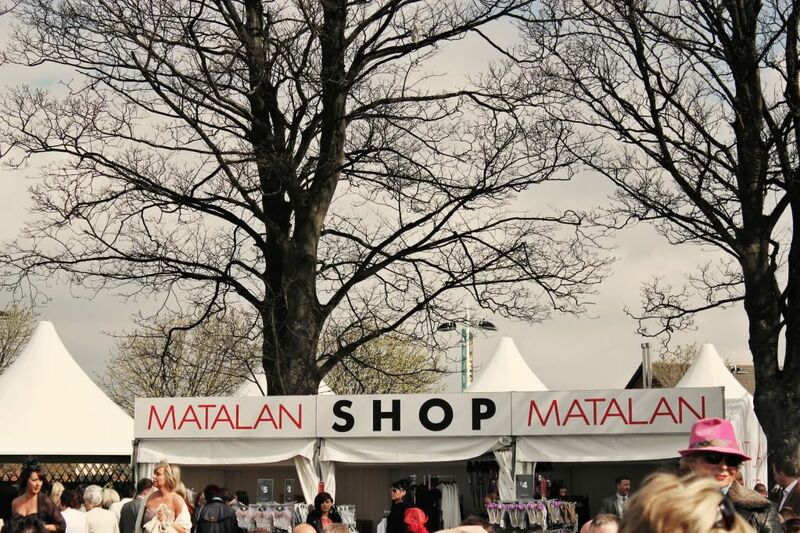 Thanks Matalan! 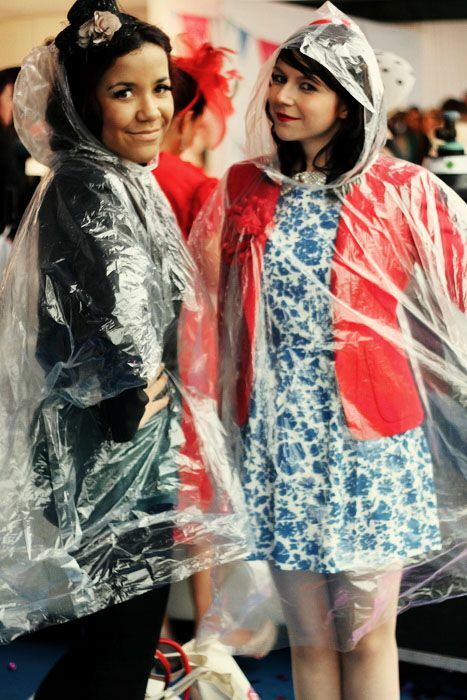 Becca and I rocking the clear poncho look! 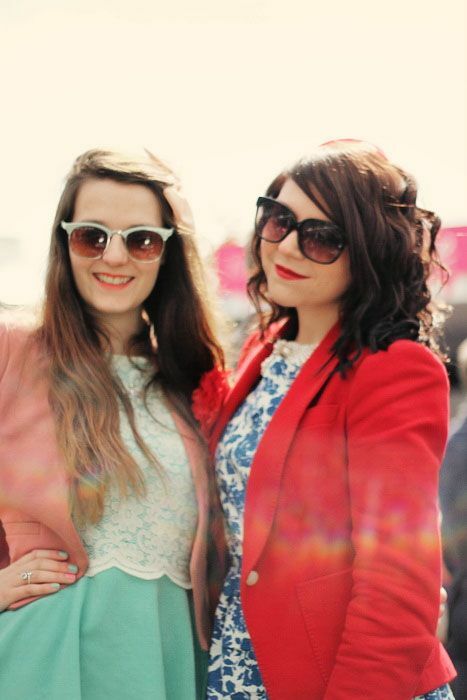 And of course, I had to get a couple of photos with my blogging best friend Sian! It was so fantastic to see her again. I don't think we stopped talking once during the day, and we have come to the conclusion that we are actually the same person, and also that we need to move in together so we can cook yummy vegetarian meals and share our clothes haha. 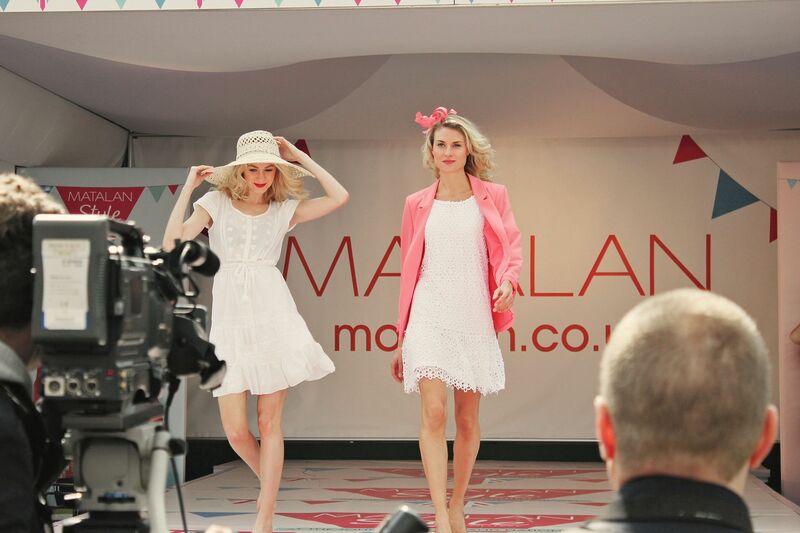 It was such a fantastic day and an amazing experience- thank you so much Matalan for inviting us! Have you ever thought of having a full fringe? I think your side fringe makes you look a little younger than you are and I really think it would make you look so classy and edgy. 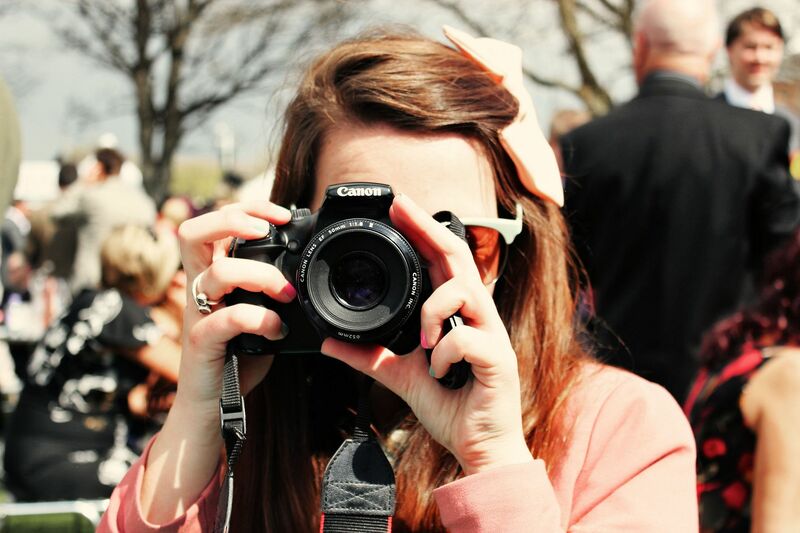 You're outfit is absolutley beautiful by the way and I love your blog <3 I only meant this as a complete compliment by the way, you're new hair colour is GORGEOUS. 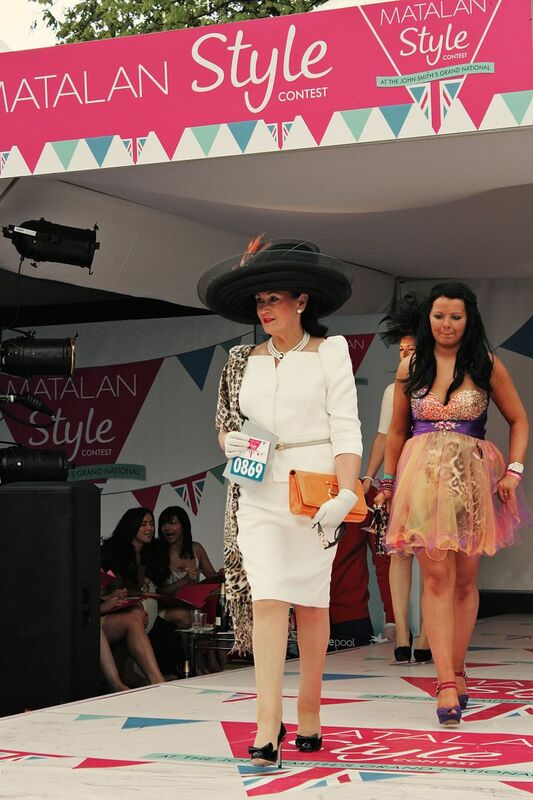 What a shame you didn't get a call back to the style contest, this is one of my favourite outfits of yours! I love the blue and white dress, and matching it with a red blazer was such a brilliant idea - I never would have thought of it, but I love the result. 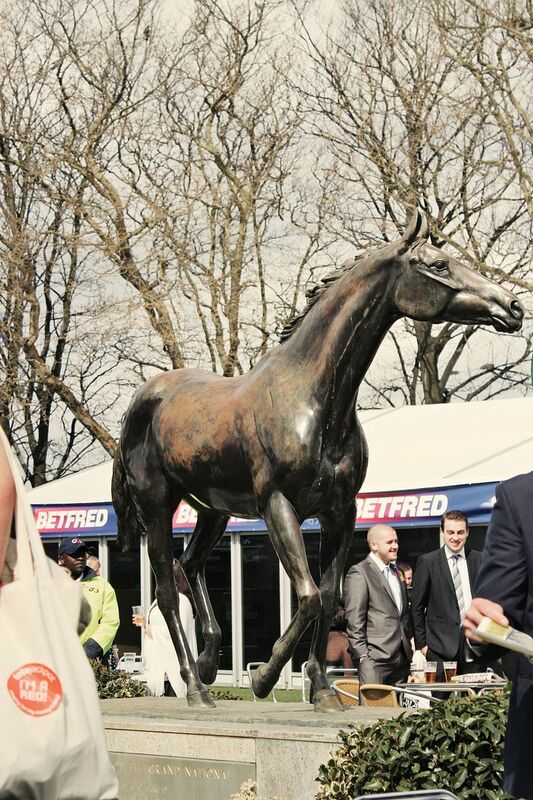 Still, it looks like you had such a wonderful time :) Although it is sad you didn't get to see the horse race outdoors. PS: I love your new dark hair! I am loving that lilac dress, but kind of want to barf on those shoes. Is that harsh? I just hate "prom" shoes. They are so weird and barefoot-y. YOU however look STUNNING. Good color combo, and if I haven't told you already, the brown hair is really lovely. I would absolutely love to have a full fringe but I have the wrong face shape! I've asked my hairdresser a million times and every time she has told me that she would never cut it in because I would hate it! I have a heart shaped face and I've done all the googling in the world and apparently I just can't pull it off. But yeah, I would love a full fringe but I trust my hairdresser haha. Looks like so much fun! 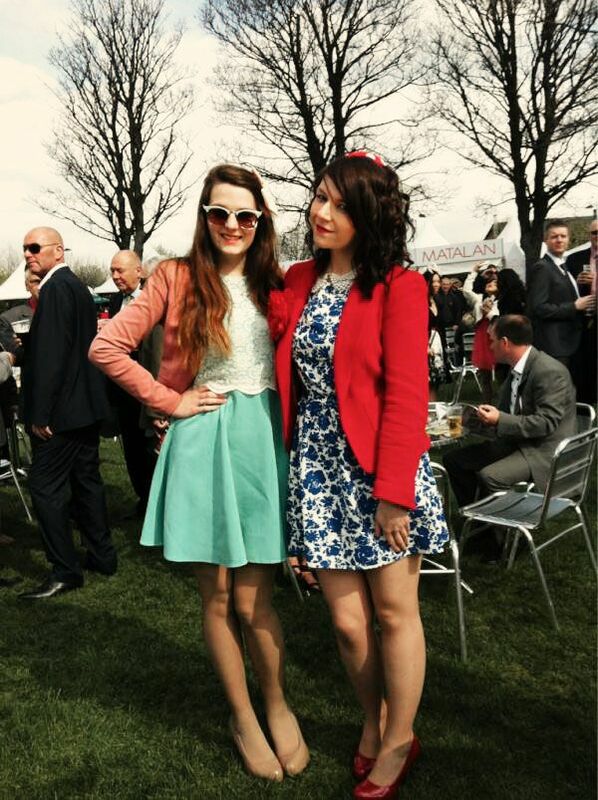 You've got me pondering going to Ladies Day at the Racecourse in town now. I've been to racing once, as a small child. My Dad let me help him pick the horses to bet on, so being about six, I naturally selected horses with pretty names, or jockeys who wore pink. I picked three winners that day. 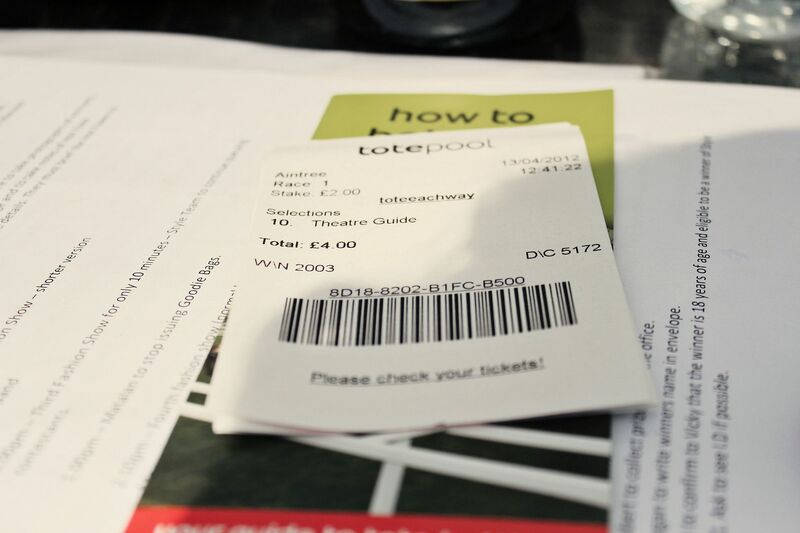 It's clearly a great betting system. 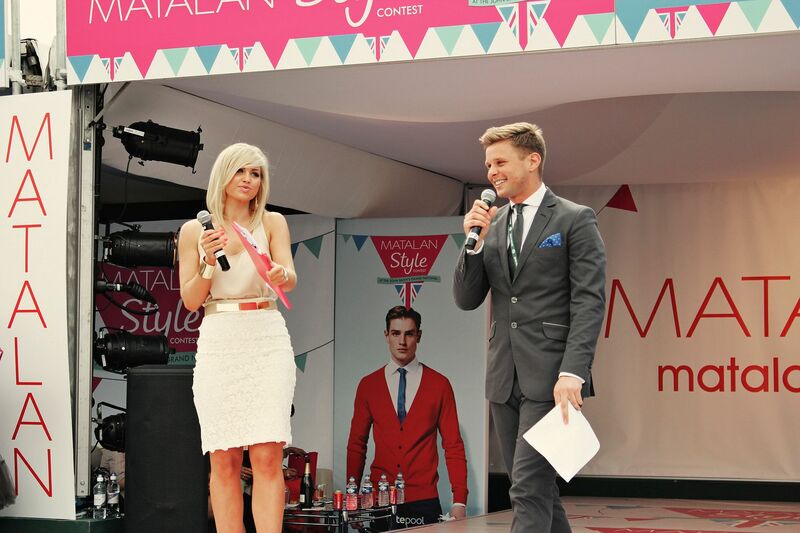 Kelly is a very deserving winner of the style contest, she looks stunning! So classy and chic. 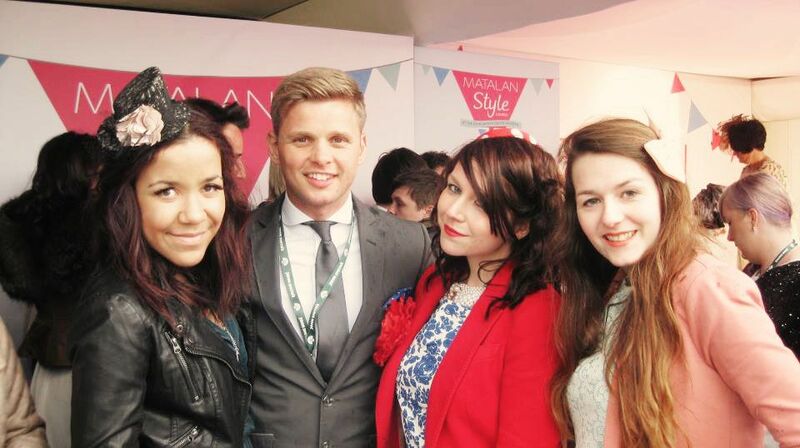 I love the races, we tend to go to Ascot or Newmarket every year. It's always so much fun getting dress up! I can't go to any this year because I can't get the time off boo! 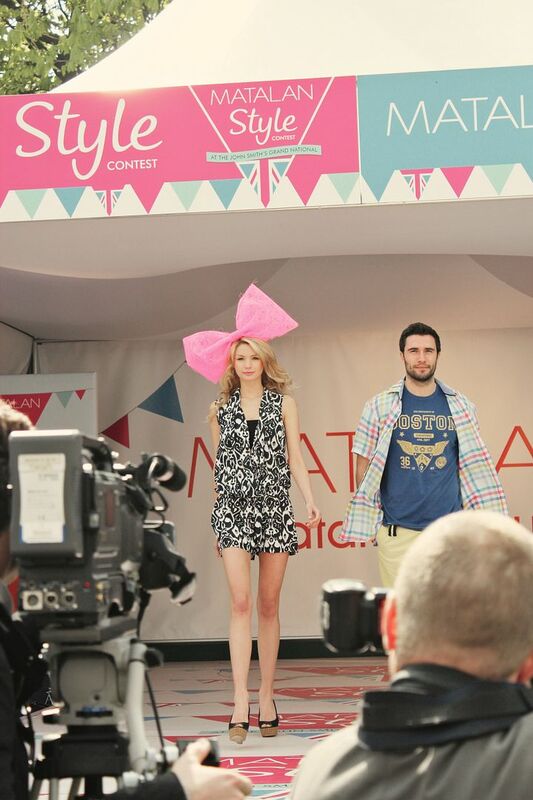 Looks like a great day out was had, loving fashion shots.